Faith, the Bible says, comes by hearing and hearing by the Word of God. It does not say, “Faith comes by reading,” or, “Faith comes by hearing a Preacher.” Faith comes by hearing God. 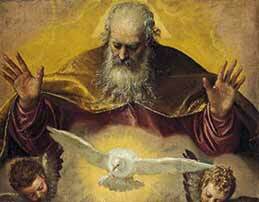 God speaks faith to our hearts, and the Holy Spirit, the third person of the Godhead, is the designated speaker. He is the Person who speaks the Word to our hearts and causes faith to come alive. 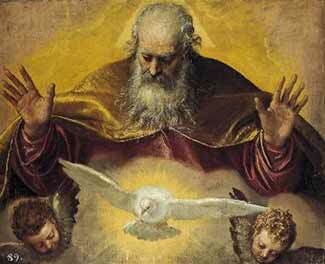 The Holy Spirit has been given and He is inside of all Christians, to lead us and to speak to us. It is the great promise of the Father. Now we are to continue the works of Jesus on this earth. Jesus said that He did not speak on ‘His own initiative’ but rather only spoke what the Father told Him to say. Now Jesus says that the Holy Spirit will not speak on ‘His own initiative’ but will take the words 0f Jesus and speak them to us. Now we are to speak what the Holy Spirit speaks to us. Notice that Jesus transfers what is His by first ‘disclosing’ them to us through the work and voice of the Holy Spirit. I believe this is referring to the speaking of faith to our heart as mentioned in Romans 10:17 above. This word from the Holy Spirit is what brings substance and reality to our hopes, and ultimately makes them visible. The article states that faith cometh by hearing and hearing comes by the word of GOD, therefore faith doesn’ come via or upon your acceptance. Its not conditional! I can’t remember the scripture on this, but I know that when I believe a promise from God, that promise is now to me. Solomon asked “who can break a three-cord rope?” Somewhere else, God said “I have bound myself with an oath”. Maybe he can’t break it because it’s three cords, consisting of the Father, Son and Holy Spirit”. The Holy Spirit shows up with the faith that I accepted. Do the mechanics of that sound right? What part does deliverance play in curing depression? Judi – It could be some of it and it could be all of it. Look at this article by Derek Prince, a noted and respected Bible teacher – You’ve Got to Have Hope. And this article of mine – Depression Is a Spirit – It Must Be Fought with the Word of God. It is not always because of a demon but I think in nearly all cases a spirit is involved. I believe depression is the emotion of hopelessness, and hopelessness is a spiritual condition. We have hope around us all the time because God is around us all the time. Hopelessness is simply not being able to see the hope – a blindness to hope. People get to a point where they can see no possible way out of the situation. The Spirit of God can open their eyes to His possibilities, and by that receive hope. We even see people that have a pretty good personal situation, all things considered, and yet feel hopeless. This is definitely a spiritual blindness and will, if not corrected, impact their good situation and turn it bad. Which is its goal. Evil desires and works to destroy. God works to give life and life abundantly. Start at the front of our site and read the articles that interest you or jump out at you. Freedom is available for everyone but it doesn’t just happen. There are things we must do on our end. God bless you. I love every part of your teaching sir…. Keep on the good work sir….. My father in the Lord introduced your book (Advanced Bible Cause) to me. And he exposed me to the reality of the new creation man, and i have being trying to lay my hands on any of your materials Sir…… I will never regret hearing the name E. W. Kenyon. My Daddy will not regret picking me from no where either… i am going SOMEWHERE…. I am really blessed by this message. It’s a great REVELATION!! !